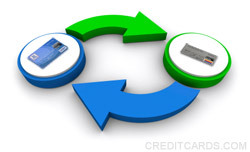 Transferring a balance to a credit card can be beneficial in many ways, particularly with cards that offer certain perks for transferring a balance, such as a 0 percent APR for a year and a half. Here are a few of the best cards you can apply for known for their balance transfer benefits. Citi Simplicity Card: This card charges either a 3 percent charge or $5 for balance transfers, and then you have a blissful 21 months of no APR. Following that, it has a considerably lower APR even still. Barclaycard Ring MasterCard: With this card, there are no balance transfer fees, and if you make a balance transfer within the first 45 days of opening the card, you get 15 months of 0 percent APR. Chase Slate: If you’re saddled with a lot of credit card debt, this card could be extremely helpful. You get 15 months of 0 percent APR on balance transfers and purchases. Once the APR does kick in, however, it isn’t particularly low so you might want to aim to pay off the debt within that grace period.